When you plan your Anglesey visit, a Holyhead car rental may be one of your top considerations if you want your island vacation to go smoothly. Equally, you may be searching for car rentals in Holyhead because you are visiting the island on business by air from Cardiff Wales International. 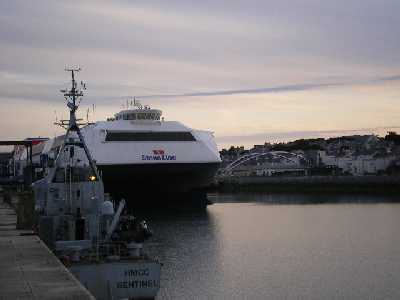 There's also the possibility that as someone using the Dublin Holyhead ferry as foot passenger, you need a car for your onward journey in the UK. So whether you are a train, coach, ferry or air passenger, you want to secure your best Holyhead car hire package so you can put aside any last minute worries. 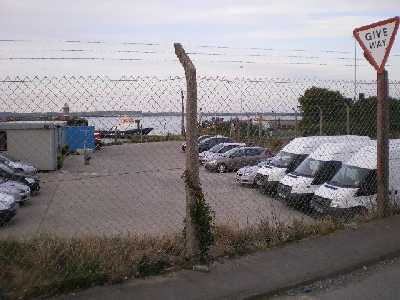 With the developments in and around the Port of Holyhead in recent years, as well as the more recent opening of the Anglesey Cardiff airlink, options for Holyhead car rentals have improved. The main car hire providers in and around Holyhead are branches of national car rental companies and so you know that there will be possibilities for one way car hire, where you leave the car at the onward destination. The main Holyhead car rental providers offer a wide range of vehicles to choose from, whether you want a small Fiesta model, a mid-range Mondeo, a Mercedes salon, or perhaps a 7 seater people carrier. It may be possible to request a diesel option instead of unleaded petrol, but this cannot always be guaranteed, while automatic drive can be organised if enough notice is given. As well as standard car rentals in Holyhead, these companies can also offer minibuses with seating for between 12 and 17 people. 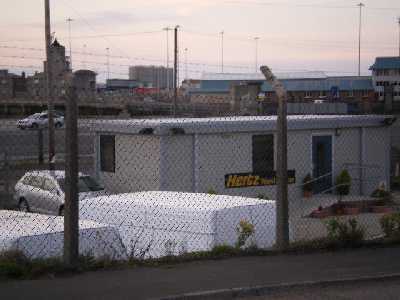 The minimum rental period for your Holyhead car hire will be one day, according to all three providers who operate from or near to the port. All three will arrange a special meet and greet service for air passengers arriving at Anglesey Airport at RAF Valley, where your car will have a full tank of fuel and paperwork will be completed. There may be a small fee of around £2.50 each way for the meet and greet service. You may also find that your Holyhead car rental firm may give you an option to top up the daily charge with an extra premium which then waives the excess in the event of an accident. Depending on the insurance policy and size of vehicle, the excess you may have to pay on your Holyhead car hire following an accident can vary from around £500 up to £600, so it may be a better option to pay a slightly higher daily premium. At a minimum you will need proof that you are legally entitled to drive a vehicle, so make sure you have your driving licence. Some of the car hire firms may also ask for an utility bill, for proof of address. Payment will usually be by credit or debit card. It is best to contact these companies between 9 and 5 Monday to Friday for bookings, as they may not be available on Sundays. To make the most of your time on Anglesey, whether on business or holiday, the best option is to book your Holyhead car rental in good time, meaning it's one less thing to worry about when you arrive on the island.